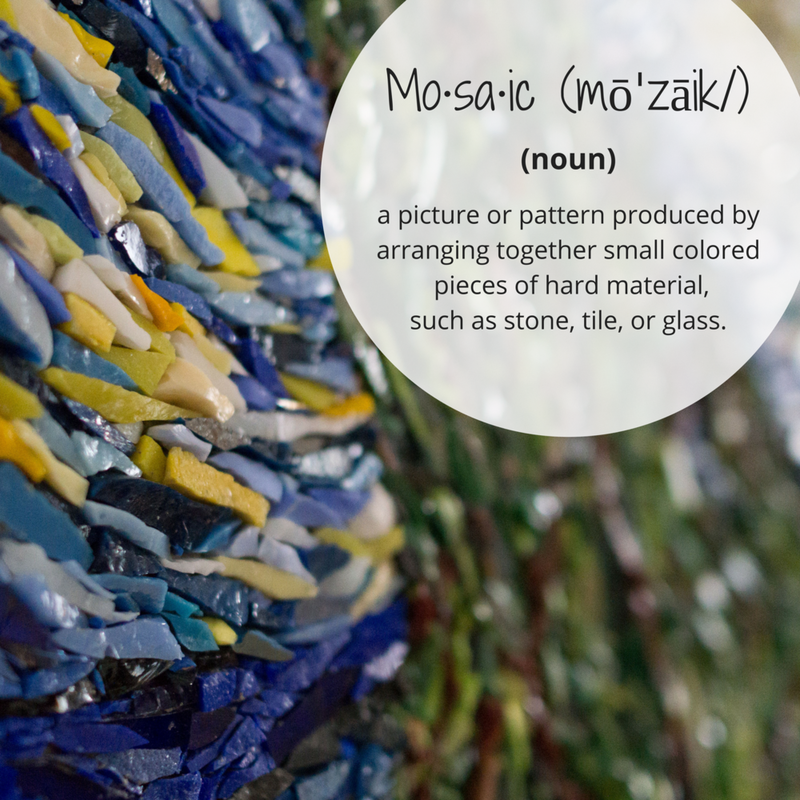 Consider a Mosaic, broken and irregular pieces of tile or glass fit together in a way that up close looks kind of messy and hard to understand, but when taken in as a whole from a distance, creates a beautiful picture. Those broken irregular pieces represent the many aspects of your life and how they fit together creates your own unique experience. Together we will explore these many aspects of life, such as relationships, career, spirituality, and nourishment, to help create a bigger picture of your unique world. You will gain awareness of where the pieces of your "mosaic" might need to be shifted to create a greater sense of balance and alignment in life. My style of mentoring employs the art of active listening and intuitive inquiry. As a result you will receive education, inspiration, emotional & spiritual support, and accountability. You will gain new awareness, deeper connection to self, improved sense of personal power, and essential tools for creating change in your life. You will feel safe & supported as you navigate your life and transitions. You will leave each session feeling heard, encouraged, inspired, empowered and motivated. As your #1 cheerleader you will also enjoy partnership in celebrating all of your successes!